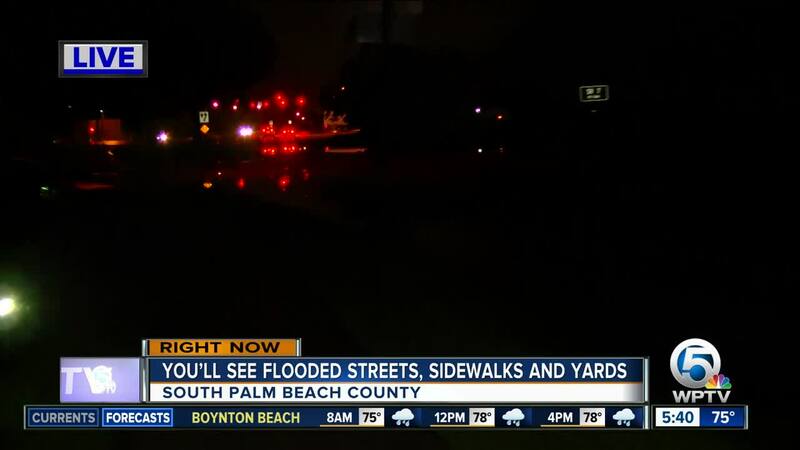 Parts of west Boca Raton are seeing flooding Monday morning from the heavy rains. At 6:30 a.m., water was almost knee deep in parts of the Westwinds of Boca Shopping Plaza. People visiting Home Depot had to park in less flooded areas in order to stay dry. Flooding was also found on side streets west of State Road 7 on Yamato Road and north into Boca Chase off Cain Boulevard. The Lake Worth Drainage District told West Boca News they continue to monitor weather conditions and make operational adjustments to lower canal elevations in response to local rainfall. Flood control gates remain open to allow excess water to drain from the recent storms.